First announced last January, Rocketbirds 2: Evolution now has a release date, and it's sooner than you might think. The chicken commandos hunt down Putzki once more on April 26. The co-op has been expanded this time around into the newly dubbed "Rescue Mode." Up to four players, either online or local, can team up to go on rescue missions and free hostages. It's like "Rambo," but with chickens and penguins. What's more, every hostage you rescue gets added to the cast of playable characters, which you can customize and load out with as many weapons of death as he or she can carry. In anticipation of its impending release, development team Ratloop put together a handy video that shows off some action from all of the different game modes. 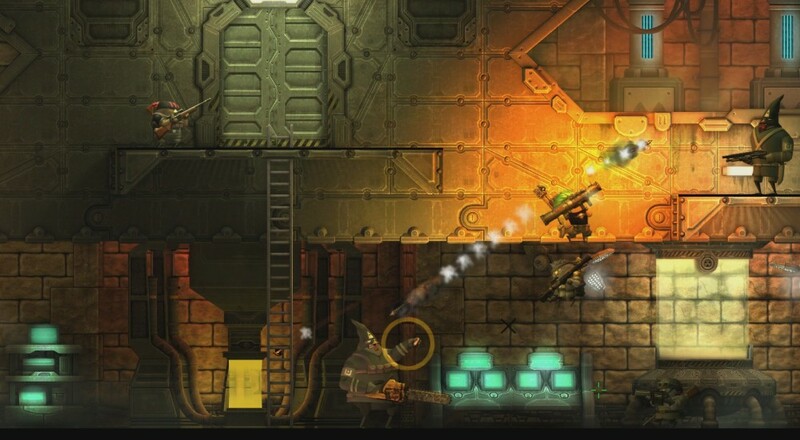 Rocketbirds 2: Evolution launches on the PlayStation 4 and PlayStation Vita on April 26, 2016. The title does feature cross-buy and cross-save, so you only have to buy it once to enjoy it on both platforms. Page created in 1.4156 seconds.